Urban Zone FREE Street Dance for 5-10yrs – Fun, invigorating and exciting dance workshops, great for team building and performances. Enjoyed by boys and girls equally, come along and join at no cost. Popping, locking, breaking, floor work and much more. 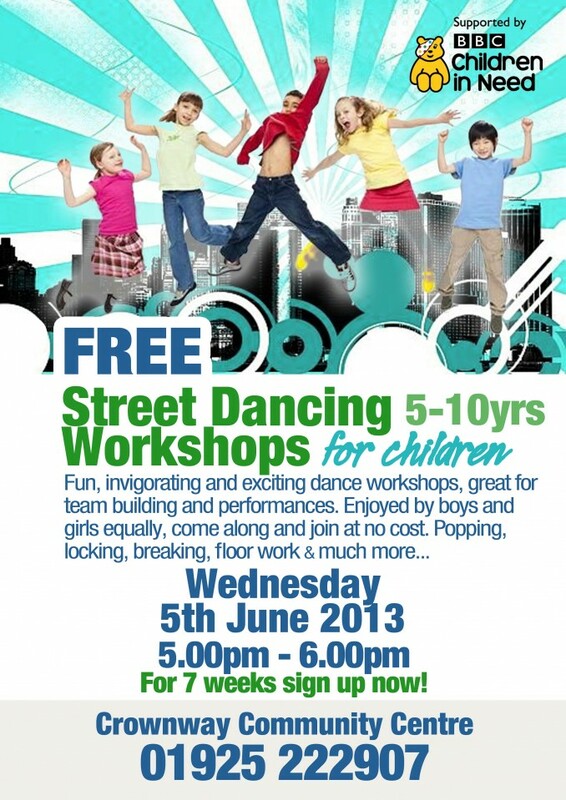 Starts Wednesday 5th June 2013 (5pm-6pm) at Crownway Community Centre, Earlestown. Contact us for an enrolment form.